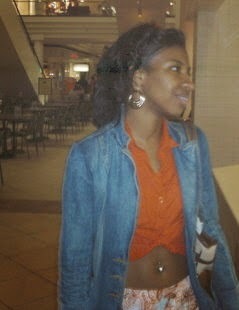 I've been natural for 3.5 years now & I must say...I'm loving the journey. 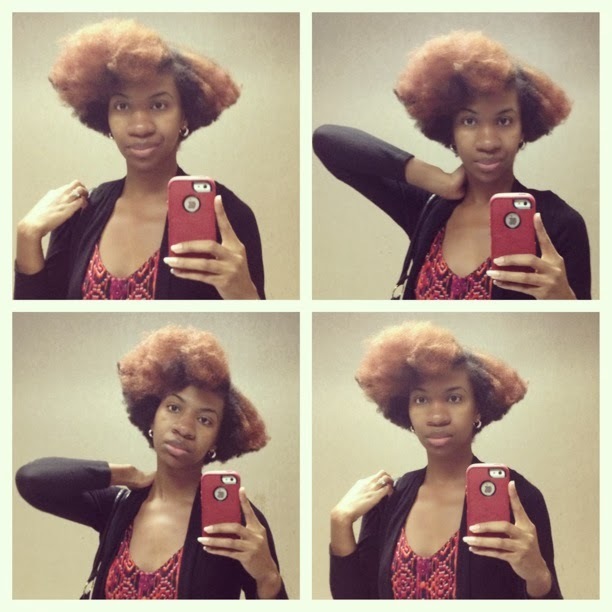 I started out with a TWA(teeny weeny afro) & then it grew to mid-length & now I'm #taperlicious. LOL, that's just one of my terms for having a tapered cut. 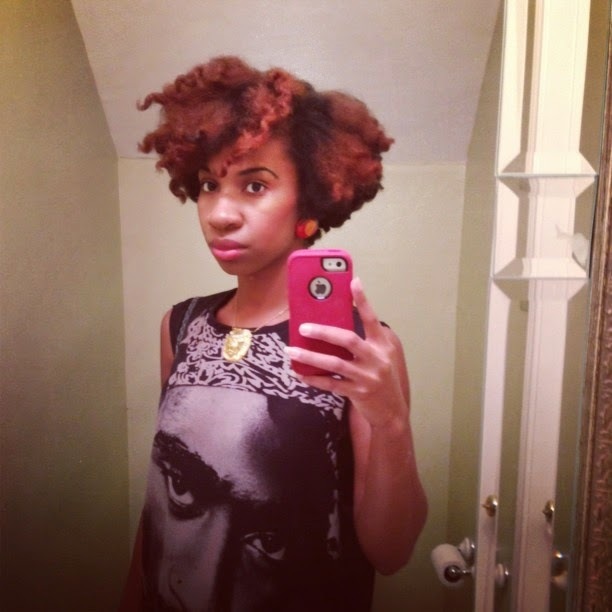 I've been rocking with the tapered cut since Jan/Feb 2013. So I've had this cut for 1.5 years. I love it so & I think I've discovered my signature style with this cut. It's big, bold & it's ME. Growing my hair out? That just depends on what day you ask me. Sometimes I want to, but I can't keep the scissors out of my hands. There will be no length progress if I have anything to do with it, lol! The #taperedcut is my undoubtedly my signature style. I've partnered with Motions to help you discover your own unique style. Whether you're natural or relaxed, etc. We all have our own style that is different from anyone else. It's one of the things that makes you YOU. 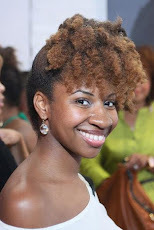 Small confession: Even though I love my tapered cut, I have a slight obsession with bobs! There's just something about a healthy, bouncy bob that makes me happy. If I ever do grow my hair out, a bob would definitely be my next hairstyle. I'm such a short #hairgurl now, lol. If you love bobs too, check out these how-to videos from celebrity hairstyling expert Ursula Stephen where she shows you how to achieve your unique style with a glam bob & a blunt bang. If you follow me on Instagram, you already know that I used Textures & Tones Flaming Desire almost 3 months ago to complete my color. It came out very close to the color on the box! As much as I love my new color, we all know that red is always hard too keep so this time around I wanted to actually use products to preserve my color longer. Usually when I color, I just go with it aka I just let the color fade, grow out, & do what it wants. 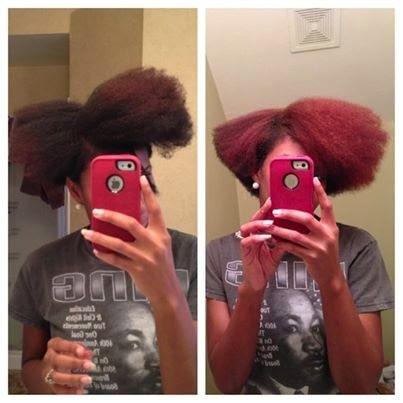 lol, I'd never tried to proactively keep my color longer. So when Cosamo reached out to me, I thought it'd be a great to refresh my color with their Love Your Color, #780 which is the Auburn hair color. The color came right on time! It was also pretty easy to apply. No crazy smell. Because of my unbelievably stubborn gray hair, I left the color on for 45 minutes which is recommended in the instructions for hard to color gray hair. I used 1 bottle & then 90% of the 2nd bottle. And here are the results! Look how big K is! 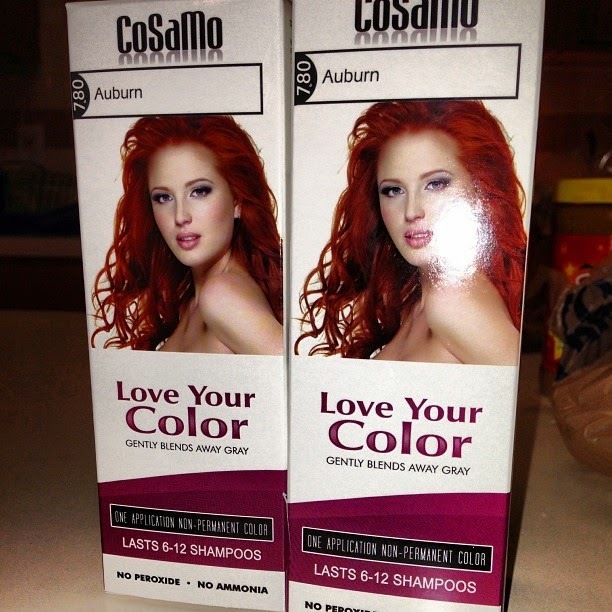 Overall, CoSaMo's Love Your Color Auburn provided a good experience for me. 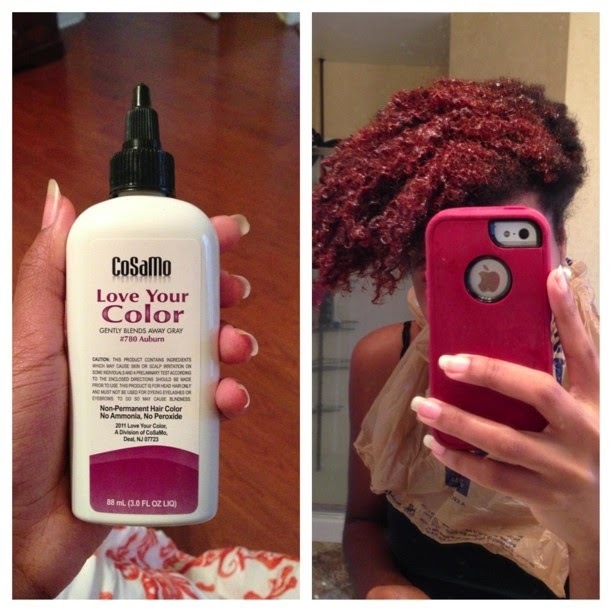 It was easy to apply & it did just what I wanted it to: gave me brighter auburn hair! 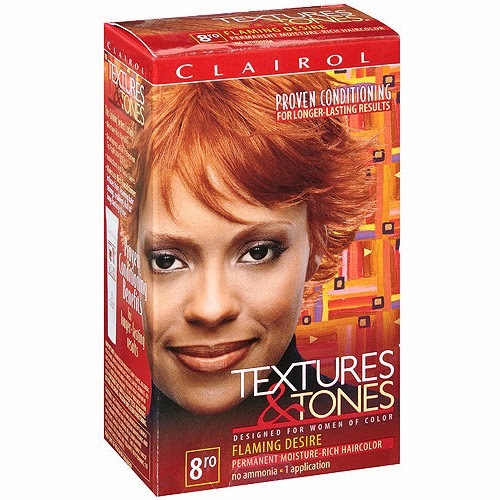 I would love to try a brighter, more orangey auburn just to compare to this one. If you've tried them, what did you think? 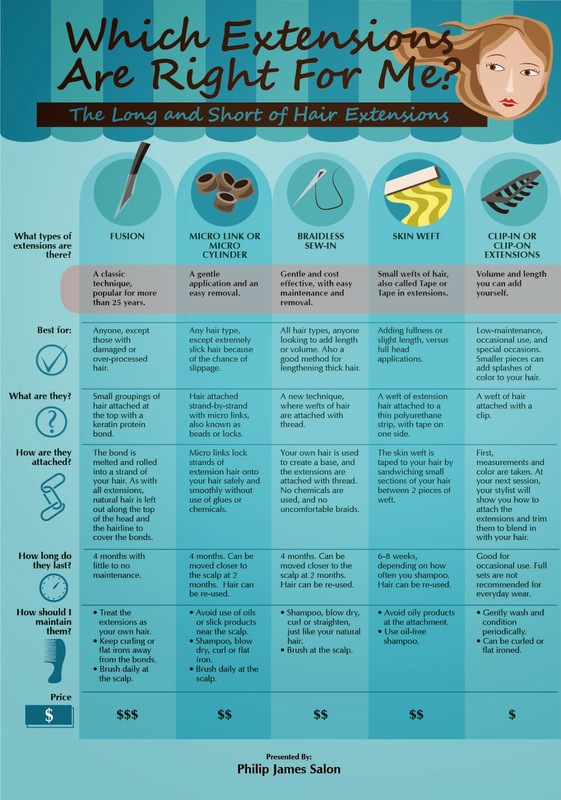 How do you spruce up your permanent hair color? Thanks CoSaMo! "This is a sponsored post for U by Kotex through The bLink Marketing Network. 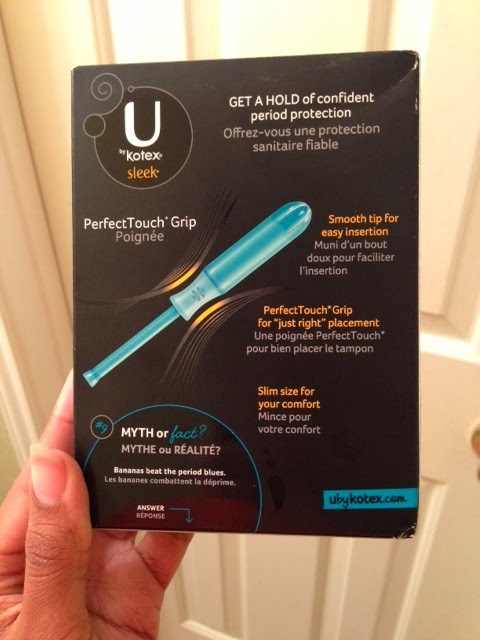 U by Kotex provided me products to review. You can get a free sample from U by Kotex too at www.ubykotex.com/get-a-sample and Do the Demo. All opinions shared are my own." Let's talk periods! LOL. Seriously, I feel like I've been waiting my whole life to talk about my cycle. I was actually excited when I was offered a chance to try out U by Kotex. I actually told my husband, "Finally, I get to talk about my period!" There's not a month that goes by that I'm not talking my husband's ear off about my cycle. He knows everything about it, but I always want to talk about it! lol, Aunt Flo & I have had a love-hate relationship since I was 10. That's the age she came into my life for good. I went to the bathroom to pee before church one morning & wallah magic. There she was. At 31, I'm still not acclimated to having a period. Crazy right? I honestly don't think I'll ever be all the way adjusted to loosing insane amounts of blood every month accompanied with unbearable cramps, attitude, bloating, attitude, well you get the point. Not even after 21 years. In a way, they have become easier for me to handle though. I don't hate her visits like I did as a child. I don't look forward to them either! But, I have realized that she's not as bad as she seems. 1. 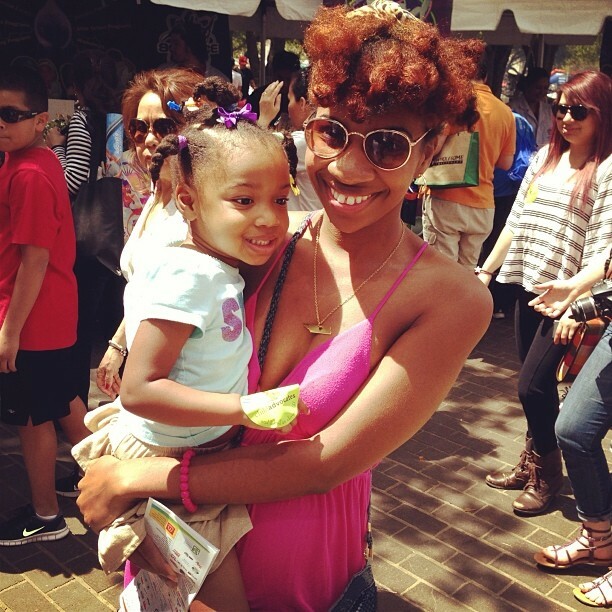 Khloa, my baby girl. :-) She came from my unwavering ability to menstruate each month. 2. My husband gives me period presents! I usually forget so it's like an unexpected surprise. Ok so I started my cycle on a Monday morning this month. Oh, joy. The beginning of the work week. 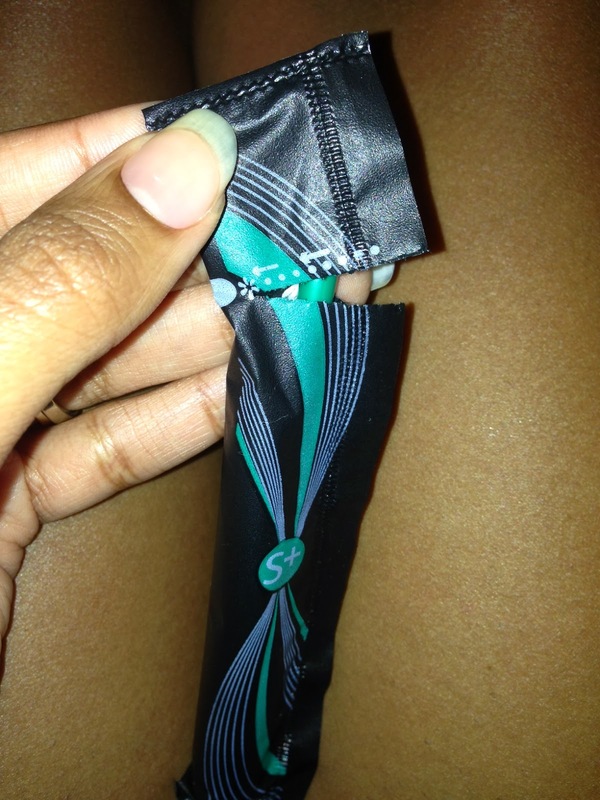 When choosing my protection, I opted for the U By Kotex Sleek Super Plus Tampons. Super Plus tampons are vital for me on the 1st couple of days of my menstrual cycle. Extremely heavy flow time. It's important for me to have something that I can depend on & that allows me to move around. A normal day at work consists of me moving around a lot so I can't afford to have any accidents. Besides, I'm too old for that. 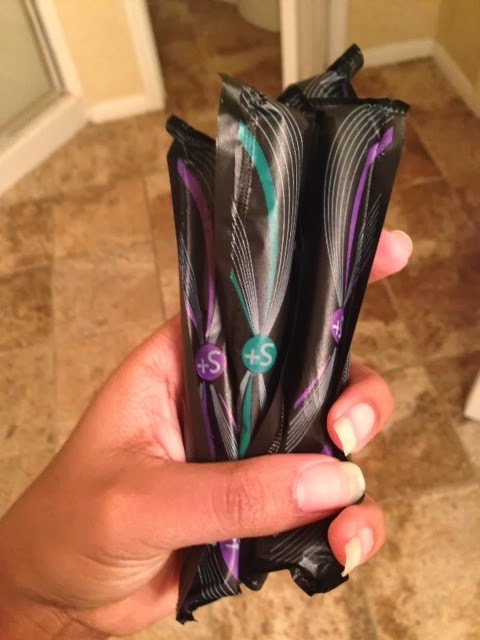 Although, I use both pads & tampons, I'm definitely more of a tampon girl. They definitely provide me with better mobility than a pad. Let's check out the packaging! I really liked the box. So cute & tiny. Easy grip middle. It keeps you from dropping it & aids in correct placement! I'd never seen this before. This was the easiest tampon I'd ever opened. Just follow the arrow & tear off the top. I loved the sleek ;-) design of the plastic applicator. Never tried the cardboard ones so I can't compare. Minimal trouble inserting. It was a little uncomfortable at first. 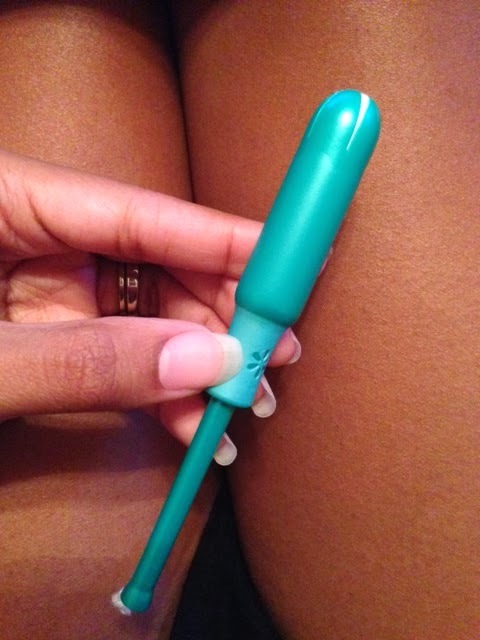 The Sleek tampons enabled me to keep my tampon in longer during my heavy flow days. I kept going to the bathroom to check for possible spotting & I was pleasantly surprised that there wasn't any. (Note: I wear a pad with the tampon on my heavy flow days for double protection.) The protection was incredible! In turn, I didn't have to use a lot of the tampons for a regular day at work. I normally go through a bevy of super plus tampons in one day. Check out U By Kotex at these links! I wrote this review while participating in a content series through The bLink Marketing Network on behalf of U by Kotex, and received products to facilitate my post and compensation for my time to participate. Just tweet the hosting media outlet, @myafricanpride & me @thehairgurl and use the #FreeToBeMe hashtag on how you embrace freedom when styling your hair. More info below. The last day to enter is February 28th! 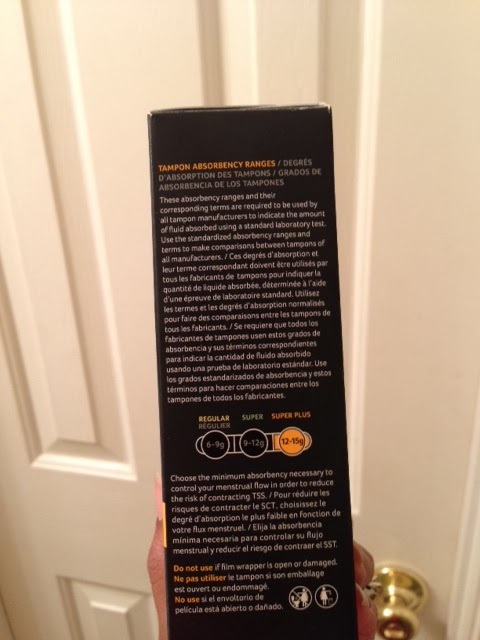 Strength of Nature Global is the choice manufacturer of innovative hair care solutions that specifically address the critical hair care needs, styling, and desires for consumers of color. 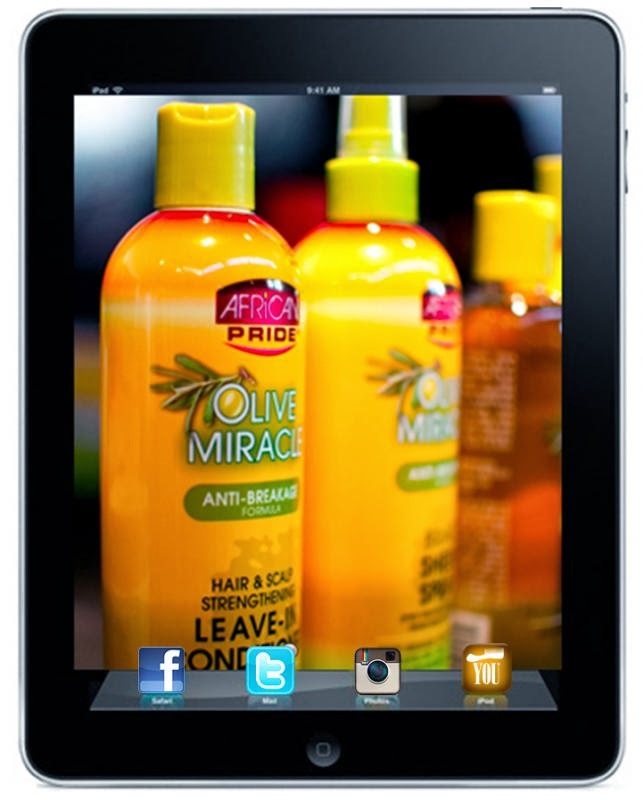 The company's brands including African Pride, Elasta QP, Soy OYL, Profectiv, Relax & Refresh, GrowthRenew, MegaGrowth, SmartPerm, Soft & Beautiful, TCB, and Pro-Line Comb-Thru Professional are sold primarily at beauty supply stores and leading food, drug, and discount retailers. Strength of Nature has offices in Atlanta and Savannah, Georgia. For more information visit www.strengthofnature.com.